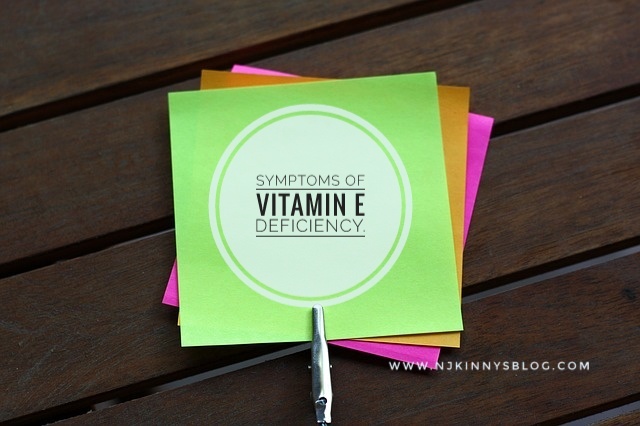 Home / Articles by Njkinny / Fashion and Beauty Corner / Food Corner / Health and Lifestyle / Healthy / Recipes / All you need to know about Vitamin E- Health Benefits, Food Sources and Easy Ways to incorporate Vitamin E in your life! 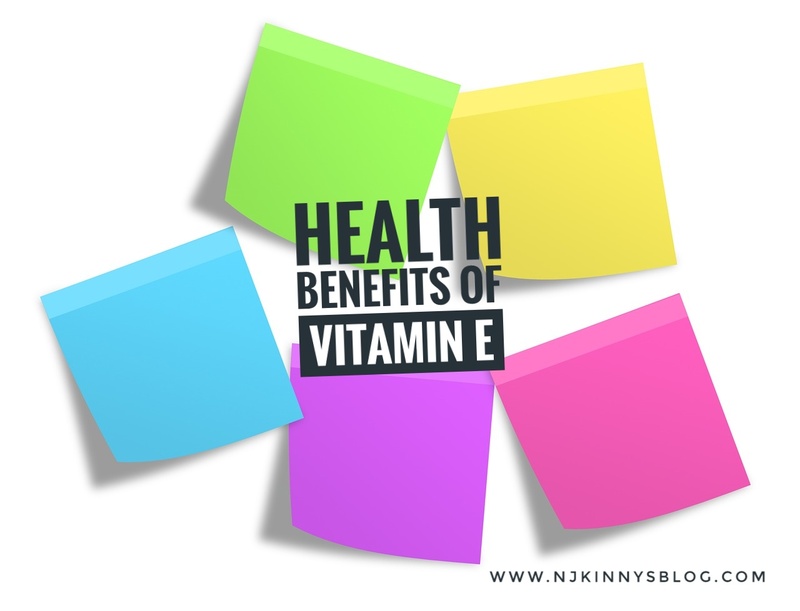 All you need to know about Vitamin E- Health Benefits, Food Sources and Easy Ways to incorporate Vitamin E in your life! "Health is wealth" and so with the advent of New Year, I have decided to not only adopt a healthier lifestyle but also share useful health mantras with you. My aim is to provide simple and easy ways to help you become more healthy and in turn, lead a happier life. Importance of Vitamin E- various health benefits of Vitamin E.
Symptoms of Vitamin E deficiency. Food sources rich in Vitamin E.
How to incorporate it in our daily life? Simple and Easy to make Food Recipes rich in Vitamin E.
DIY Vitamin E beauty packs and hacks. 1) Acts as an anti-aging agent. 2) Repairs skin damage and brings about elasticity and moisture to the skin. 3) Helps remove scars, acne and stretch marks. 4) Lowers the risk of Skin Cancer. 5) Balances Cholesterol in the body. 6) Vitamin E is a fat soluble vitamin that plays an important role in preventing free radical damage to specific fats in the body which help in controlling aging and are important for our overall health. 7) It thickens and strengthens hair, gives good shine and prevents split ends. 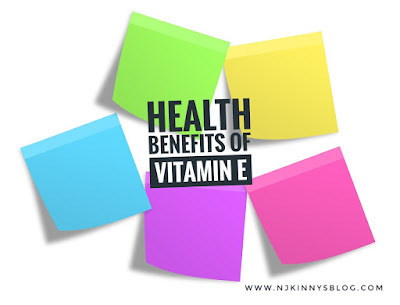 8) Vitamin E balances hormones in our body so we feel more energetic, disease free and can easily maintain weight. 9) When taken with adequate amounts of Vitamin C, Bea-Carotene and Zinc, it improves vision and helps in decreasing the chances of age-related macular degeneration which causes blindness. 10) Improves muscle strength and physical endurance. 11) Important during pregnancy for proper development of the fetus and also critical for the growth and development of infants and kids. 12) It is also anti-inflammatory. 13) It also helps with PMS symptoms. 14) Helps in repairing damage to nails. 15) Vitamin E is an important antioxidant and a fat soluble vitamin that helps make red blood cells. 16) Also helps the body use Vitamin K (important for heart health) effectively. 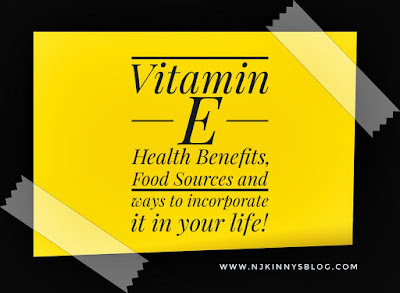 How to incorporate Vitamin E in your life? 1) Eating Vitamin E rich food is the best way to integrate Vitamin E in our lifestyle. 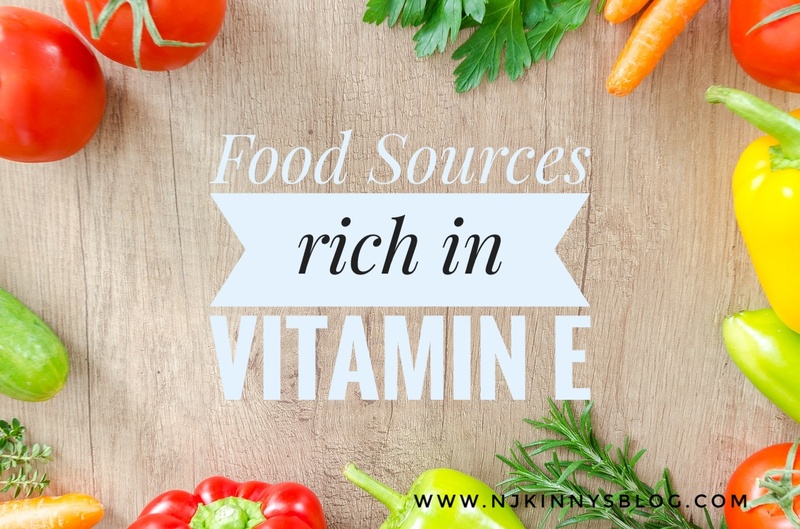 Here are a few simple, quick and very easy to make Vitamin E rich food recipes that are so tasty apart from being nutritious that they are sure to get you accolades from your family and friends. This kheer is suited for everyone even babies over one year of age. It is rich in Vitamin E, high in fiber, Calcium as well as numerous other healthy vitamins that make this kheer a complete meal, providing the body much needed strength, energy and nutrition. One of my favourites, my one year old son also loves this kheer. 1/2 cup dry fruits like Cashews, Pista, Kishmish (Dried grape), Chhuhara (Dates). a) Heat Ghee in a vessel and fry makhana. Crush the makhana coarsely after frying. b) Heat milk in a vessel and add crushed makhana and crushed almonds. Stir. b) Add the other dry fruits too and stir gently till the milk boils. Keep the flame at medium. c) Once the milk boils, lower the flame and stir the kheer for another 5 minutes. d) Add grated dried coconut and stir for one minute. e) Remove from flame and add the grated jaggery (gur). Stir till it dissolves. f) Serve hot or cold, it tastes yummy either way. This recipe is very rich in Vitamin E, Beta-Carotene, Iron, Fiber and suited to everyone even babies over one year of age. Nutritious, tasty and a rich red colour, it gives the body nutrition and is one of my favourite winter soup/curry. My baby who is over a year old absolutely loves this soup and enjoys it frequently. a) Take a Pressure Cooker and add desi ghee. 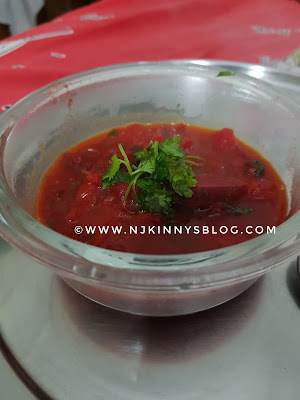 b) Add Hing, jeera (cumin) and then add the chopped tomatoes and beetroots. c) Stir for a minute. d) Add water, crushed black pepper and salt. e) Close the lid and cook till two whistles on high flame. f) Open the pressure cooker and gently crush the beetroot and tomatoes. g) Cook for a minute without the lid. h) Pour the soup/curry in a bowl and garnish it with chopped green coriander. i) Serve hot with either chappati, paratha, rice or bread. We can also incorporate Vitamin E through simple recipes like Peanut Salad (Moongphali ki Salad), Moong Palak ki Sabji (Split Green Gram and Spinach Curry), Spinach and Potato Sabji (Palak Aloo ki Sabji) and Almond Milk to name a few. Apart from these recipes, we can also eat 4 overnight water soaked almonds daily to fulfill our Vitamin E requirements or can go for #Evion Vitamin E supplement. (Click to Read more about Evion Supplements). Any type of supplement should be taken after consultation with your Doctor and should not be taken on an empty stomach. It is better to taken them just after your meals at a fixed time each day for best results and should be taken in moderation. #Evion Vitamin E capsule can be taken both internally and externally. Easily pop open these Vitamin E capsules and use in packs, scrubs, creams, oils or even directly on skin, hair and nails. I use the below DIY methods with Vitamin E to nourish my skin, hair and nails and am so happy to share with you that these are all natural, adverse effects free methods that have benefited me. My hair is stronger with no hair fall, skin smoother and brighter and nails crack free! Crush 2-3 Almonds with milk and apply on your face. Gently massage for 2 minutes, leave it till it is dry and then wash off with warm water. This scrub and pack evens out the skin tone and gives a brighter, more moisturised skin free from blemishes. Apply a capsule of Vitamin E to your face directly and then wash off with water after a couple of minutes to get a smoother, well moisturised skin. Add a capsule of Vitamin E to your daily moisturising cream and then apply it to your face to reap the benefits of Vitamin E.
Apply Vitamin E oil or use a capsule of Vitamin E with any oil like coconut oil for massaging your hair to get thicker, healthier and stronger hair. Directly apply Vitamin E to your nails and massage them to get stronger, healthier looking nails. Integrate Vitamin E in your daily life and reap all its benefits to lead a healthier, happier life. 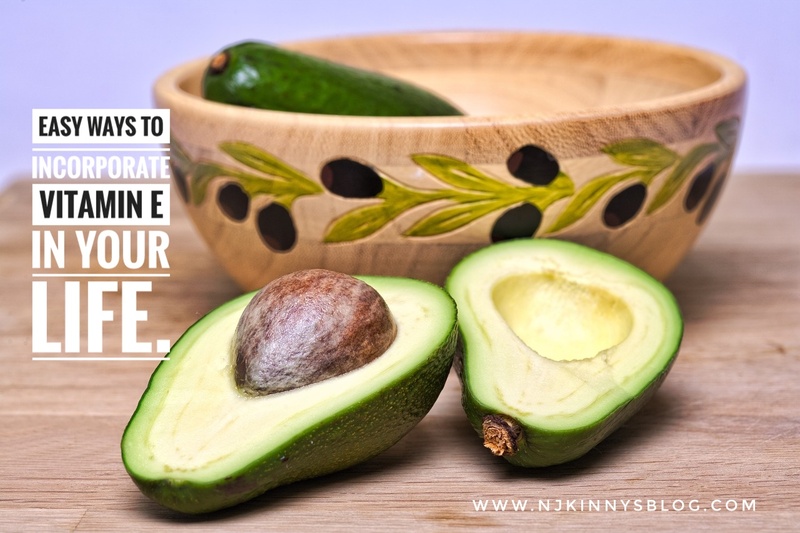 How do you integrate Vitamin E in your life? Do share your thoughts with me. I love hearing from you.